When shopping for broadband Internet, you’ll likely encounter a host of confusing, and potentially misleading, terms. Exactly what does one provider’s “blazing fast” plan provide compared to another’s “high capacity” plan? What does upstream and downstream mean? And what is Mbps all about? If you want to make a smarter choice, it’s smart to learn the lingo and evaluate your speed needs. Broadband Internet access is dramatically faster than dial-up networking. To give you an idea of the differences, a standard webpage might take ten to fifteen seconds to load over a dial-up connection while that same page would load in a blink of the eye using broadband. Dial-up connections take forever to cue up a five minute YouTube video while broadband connections make it possible to watch full length, high definition videos on demand. Mpbs – Most broadband service providers offer several plans capable of different speeds. Speed is measured in Mbps which stands for Megabits per second. In general, the more Mbps a plan offers, the faster the service is. To further complicate matters, most plans assign two different speeds, upstream and downstream, both of which are expressed in Mbps with the upstream speed being slower than the downstream speed. Upstream and Downstream – Upstream refers to data that you upload to the Internet while downstream speed refers to data that you download. The reason that downstream speeds are generally faster has to do with your experience. If you need to download a large file, you want it to download quickly so you can begin using it, right? On the other hand, if you’re uploading a large file, you don’t necessarily need to use it right away. Thus, speed becomes less important. How you use the Internet and the amount of broadband speed you need are closely related. For example, if you use your computer for basic functions such as checking email and paying bills online, you won’t need as much speed as someone who streams videos online or plays a lot of online games. 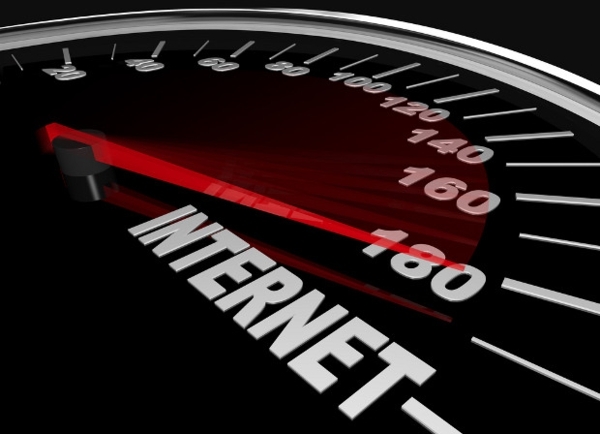 If you currently have broadband Internet access, how fast is it? Not sure? According to an FCC survey, you’re not alone. Roughly 80 percent of U.S. broadband subscribers don’t know the speed of their broadband connections. While you may be happy with its performance, it’s smart to know what you have so that you make a smart choice should you ever need to switch plans. A number of broadband speed tests are available online including one from the U.S. government at broadband.gov. Testing broadband speeds is useful for troubleshoot unexpectedly slow connections. For example, if you have a 10 Mbps plan but the speed test shows you’re consistently only getting 3 Mbps, you may want to contact your Internet service provider to troubleshoot the issue. Many factors can affect bandwidth including routers, high bandwidth applications, network congestion, and computer viruses. Whether the problem originates with your equipment or with the ISP, your ISP’s technical support team may be able to help you identify the problem, if not solve it completely. Sam Jones, the author, wanted to know exactly what is broadband and how important speed is to the way he uses the internet.